This recipe was given to me by my daughter-in-law. Both she and my son make it and it is ssssooooo good. But best of all ssssoooo easy. They are such great cooks. It is such a pleasure to be at their place for breakfast, lunch or supper. They can cook for me any time. Hint, Hint! I wonder if I’ll get an invitation soon? Add some oil and chicken pieces to a fry pan and brown the chicken. Next add 1 jar, 1.2 litres of salsa sauce sauce. 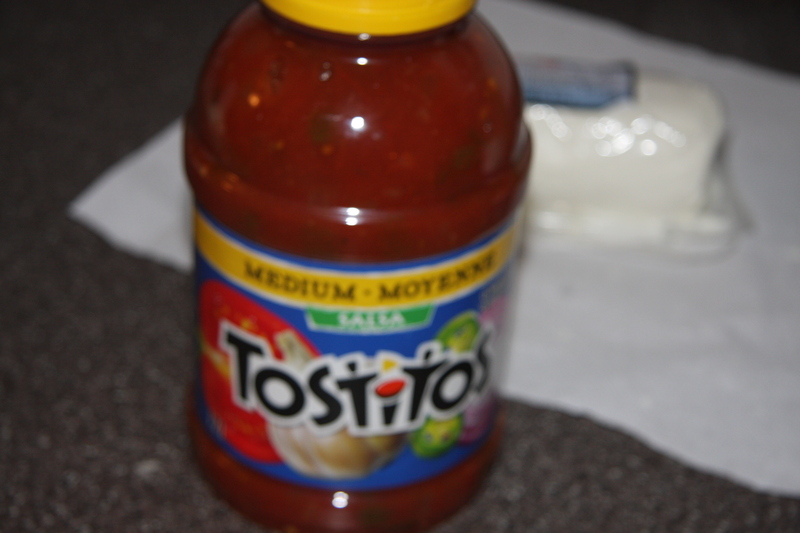 Into the salsa. Along with the amount of curry powder you can handle. Removed the chicken pieces and gave the salsa and cheese a whack with the immersion blender. I wanted to remove the chunky bits. This step can totally be eliminated. Put the chicken pieces back into the sauce and cook at a lower simmer (medium low) for about 45- 60 minutes. Do a test on the chicken to see if it is done before serving. 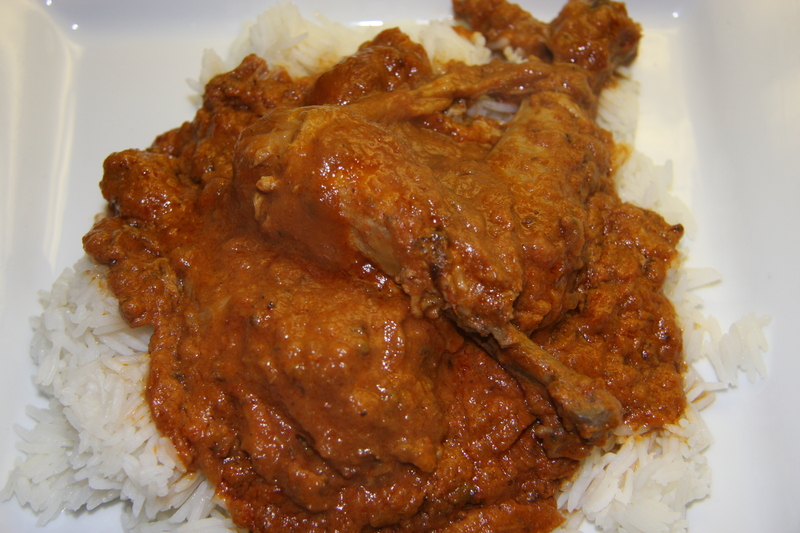 Just before the chicken is ready to be served, cook 1 cup of rice with 2 cups of water, for approximately 15 to 20 minutes. I like to measure the amount of water to be added by placing my finger on top of the rice. If the water reaches your first knuckle then there is enough. This was taught to me by a woman I use to work with. It works every time. 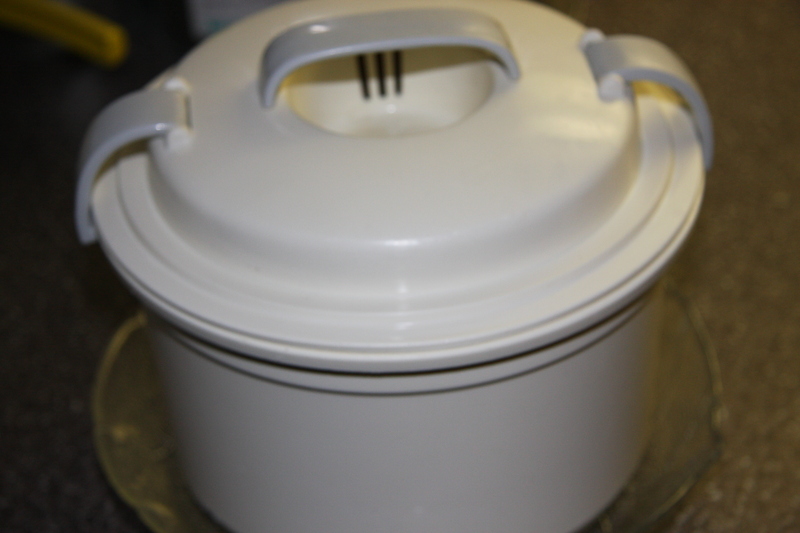 I love this micro wave container for cooking the rice. I find it cuts down the cooking time. I usually cook the rice for 12 minutes. But best of all it never burns the rice in the cooking process. I have seen this cooker in two places, Canadian Tire and some of the local hardware stores. I’m sure that there must be other kinds, but it is so easy to use. My friend GG put me on to it many years ago. So as you can see it lasts a very long time. The rice cooks so nice and fluffy. There are also times I’ll make two batches. 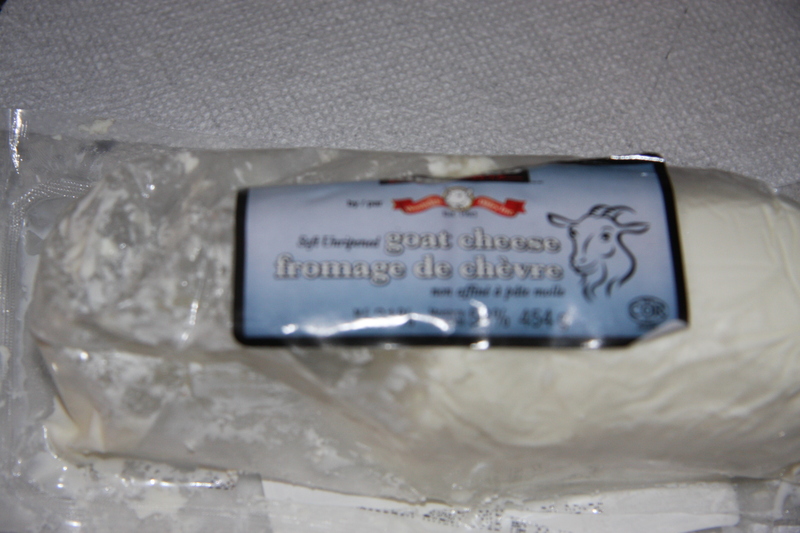 Like cooking for a larger crowd or making my famous cabbage rolls, wherever and whenever I need a lot of rice. I love this rice cooker. Place your rice onto a dish, top with the creamy sauce and chicken pieces. So easy yet so yummy! In a saucepan heat 1/4 cup of olive oil. Place your chicken pieces in to slightly brown, then remove. 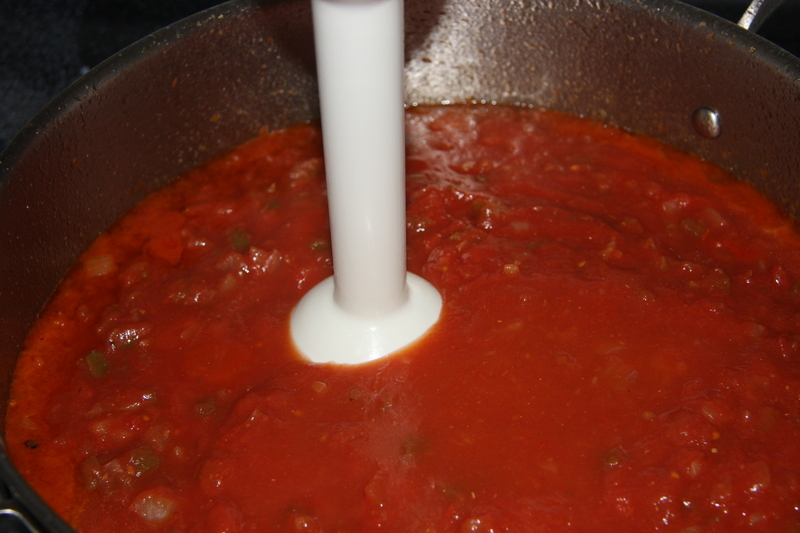 Add the salsa sauce and with an immersion blender remove some of the chunks in the salsa sauce. This is totally optionally. 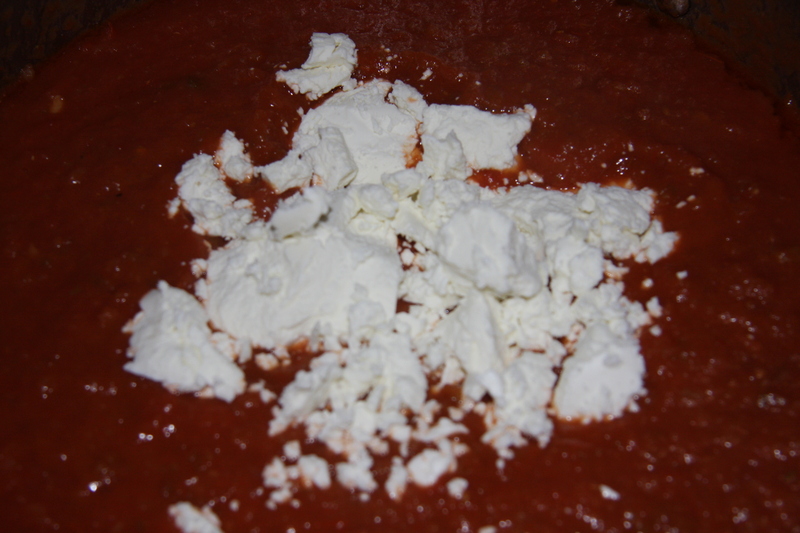 Add your cheese, stir until cheese has melted and is well combined. 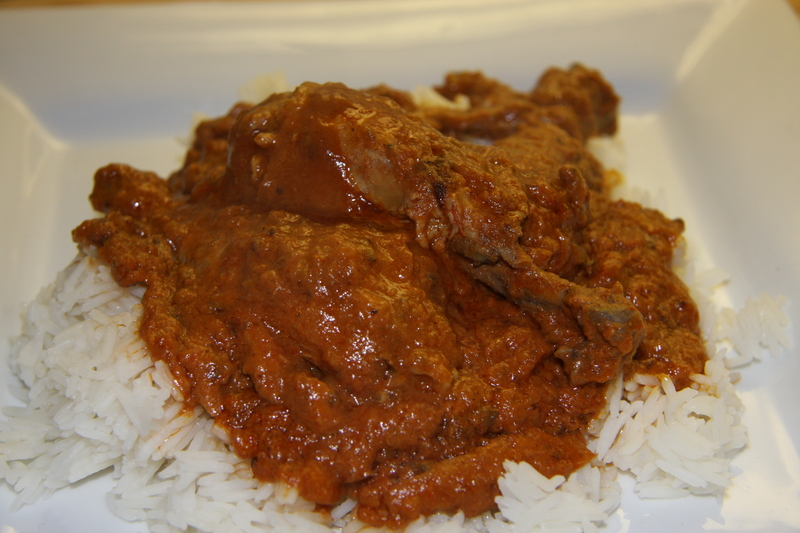 Next add your curry powder and place your chicken back into the sauce. Cook for 45-60 minutes over a medium low heat. The length of cooking time depends on your chicken. 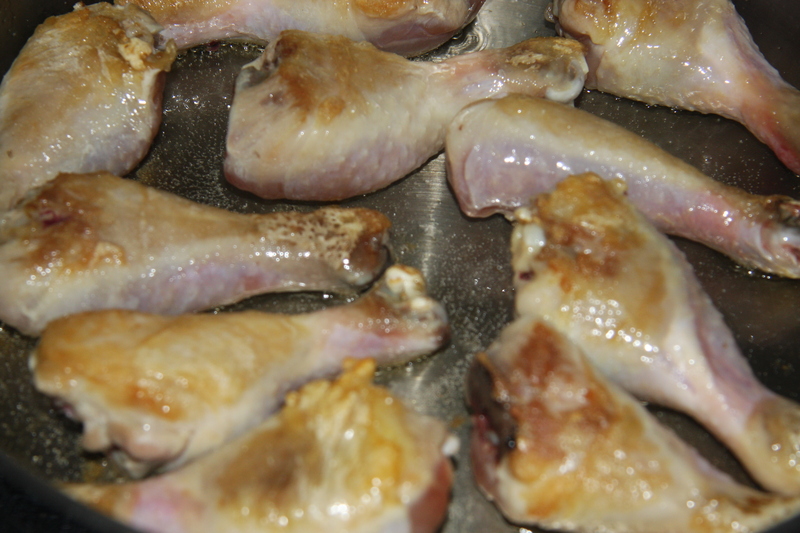 Do a test by cutting a piece of chicken to see if it is fully cooked. 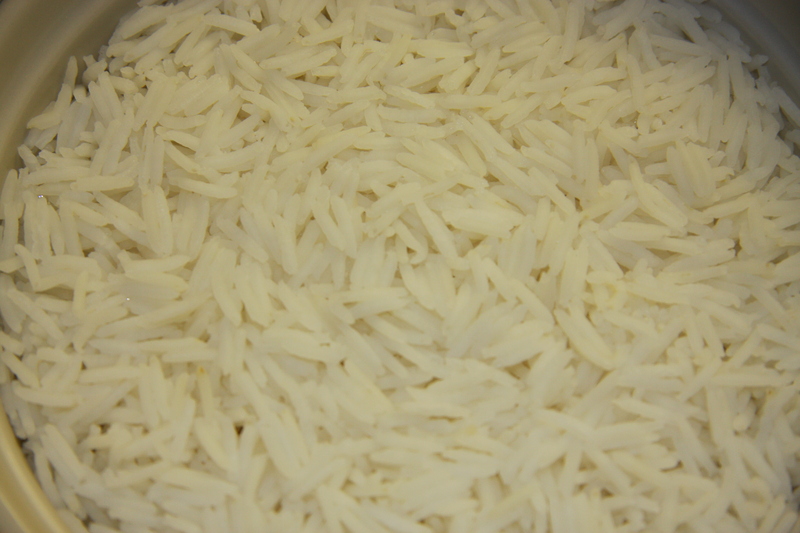 In the meantime prepare your rice the way you normally would. I love to use my microwave rice cooker. It never burns the rice and it is always done to perfection. Occasionally I add a little more water, depending on what rice I use, put it back in the microwave and within minutes it’s done. I serve this family style and let my guests help themselves.